Sfiha are traditional Sephardi pastries from Turkey. They ordinarily consist of lambs mince but lamb has become so expensive here. I really cannot understand why, as we live close to an area that farms lamb. This emphasizes more and more why I would like a farmers’ market close to where I live so that I could buy direct from the farms. Luckily for me, our local butcher has an endless supply of venison in season. I decided at the beginning of autumn to stock up on as much venison as possible. The meat is fairly cheap, low in cholesterol and a healthy sustainable source of protein. The venison I buy is free range, and hung properly before being cut up and sold to the consumer. For my savoury mince pies I bought a pack of Springbok. I kept the leg chops for later use, turned the off cuts into the most amazing casserole and used the meat for this recipe. I minced my own meat which to me is the best thing to do. I know exactly what I am getting in my mince, and I know that the meat is done to the consistency I need it for my recipes. In her post, Manal made her yafawi sfeeha (alternate spelling) using phyllo pastry which she rolled into snails. I had every intention of doing mine the same way, but the phyllo pastry I had was so dry and I could not separate the leaves, let alone bend the tube! 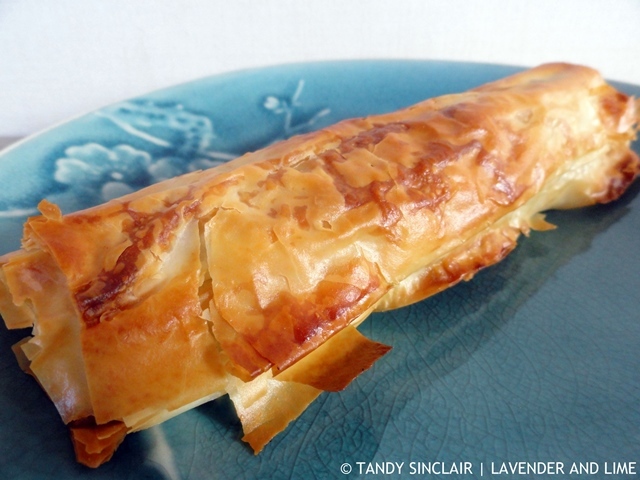 I made a small batch with the phyllo and then made more using puff pastry, which from what I read, is more traditional. My puff pastry was also at the end of its shelf life and in small pieces. I rolled it into a sheet by layering the pieces first. 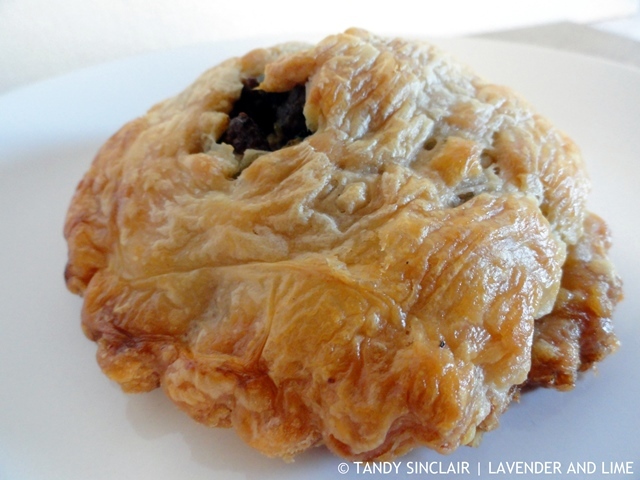 These savoury mince pies can be made using meat of your choice. Blog-checking lines: The July Daring Bakers’ Challenge was brought to us by Manal from Manal’s Bites. She introduced us to an authentic Palestinian dish from Jaffa that is served as a main meal along with a bowl of soup or a salad. The “Yafawi Sfeeha” or also known as “Milwayeh” which means twisted, is crispy yet tender and full of flavor. Ouch Jan, that is ridiculous! The price and availability lamb – even in the land of lamb it is expensive and even at the Farmers’ Market not always available! But these pies do look delicious – love the phyllo option. My grandmother used to always make mince pies, but here they are very similar to meat patties. This looks amazing. Sfiha is such a special treat! Your version looks absolutely scrumptious. I grew up eating venison because there were so many hunters around. The only butchers around are in the grocery stores and i do not think they would ever have venison due to its correlation with Bambi. Such a bummer because it tastes so wonderful! You have done an excellent job!